Rebecca Rinsema, PhD, is Lecturer of Music in General Studies at Northern Arizona University, where she teaches courses on the cultural study of rock and popular music. She is author of the book Listening in Action: Teaching Music in the Digital Age (Ashgate/Routledge, 2017), as well as chapters and articles relating to music listening technology and experience, enactive perception, popular music, and pedagogy. As a singer, she specialises in early music. She has taught music to students ranging from pre-k to the university level. In this chapter I compare Simon Frith’s music listening typology, Ola Stockfelt’s Possible Modes of Listening Model, and my Integration in Consciousness Model as they relate to the question: ‘how do we listen to music today?’ I identify ways in which each model/typology reflects or does not reflect the ‘sensory turn’ in the academy. According to David Howes and others, the sensory turn has granted a more important place to the human senses across the disciplines, challenging the primacy of the sense of sight. The distinctions I make here contextualise these models of music listening for practitioner/researchers in the field of music therapy, the field of music education, the field of participatory/community music-making in social work contexts, and, broadly, those who engage with music and wellbeing, among others. In that these models/typologies fall in step with the sensory turn, they seem especially applicable to the practitioner/researchers in these fields, as the promotion of aesthetic ideals is not the sole outcome (or an outcome at all) of their work. Within scholarship pertaining to music and music listening, one might reasonably expect that sound has always been granted primacy over sight. But this has not been the case. Indeed, even in theories of music listening, sight has been a primary driver, via principles and ideals of the aesthetic paradigm that hinge on the ‘musical work’ and the visual representation of it. In this article, I will not be directly challenging the ideals of the aesthetic paradigm in music or related to music listening; several scholars have done so in the past decades. 2 Instead, I will lay out how recent models and typologies of music listening move past the aesthetic, in ways that are in keeping with the sensory turn described by Howes. The models and typologies described herein were developed in response to the aesthetic paradigm; as such, it behooves me to provide a brief description of it. As well, I delineate how other scholars, namely Marta Garcia Quiñones, have already conceived of the sensory turn in music listening scholarship. Over the past decades, challenges to this paradigm – its ideals and practices associated with them, across musical genres – have come from many directions within and outside the discipline of music. However, only recently have scholars contextualised these challenges as part of the larger sensory turn across academia. For Marta Garcia Quiñones, when it comes to music listening, the sensory turn can be viewed as a turn away from the musical work as it was theorised to be connected to the composer’s intentions, and thus also away from the visual representations of the music via notation and/or the score, and toward the idiosyncratic sensory experiences of listeners. 4 Garcia Quiñones points to the emergence of the field of Sound Studies, also known as Auditory Culture, as an example of this turn in music listening. I should note, as a whole, Sound Studies and Auditory Culture scholars investigate all heard phenomena and experiences associated with them, not just music listening. There seems to be a trend across disciplines and schools of thought that begins with a focus of attention on the object (in this case, the music and/or the written score), then moves to the mind of the subject (the listener), and finally to the body of the subject (the senses). For example, in the rhetoric of the music appreciation movement in the United States, as well as in the philosophy of music education, there was first an emphasis on listening to the great works from the Western classical music tradition. 5 Listeners were to listen to the great works for the purposes of cultural elevation. Soon after, with decolonisation efforts, scholars emphasised ‘how’ one should be listening – with focus and attention – to a wide variety of musics. 6 Thus, there was a focus on the mind of the subject. Not long after, listening was near completely abandoned for a focus on ‘praxis’– what one does with the body primarily as it related to making music. 7 Most recently, music education scholars are identifying ways in which listening is a bodily, sensory activity, not exclusively related to the mind. A similar trajectory can also be identified in phenomenology. Husserl’s phenomenology focused on the object of the experience; it entailed ‘bracketing out’ the idiosyncratic experiences of subjects; the ‘essence’ of the experience was only found in the object. 8 Next, Heidegger’s phenomenology focused on the interpretive role of the subject, interpretation being a process related to the mind. 9 And, finally, Merleau-Ponty focused on the body of the subject as related to phenomenological experience. 10 Indeed, David Howes identifies contemporary phenomenological research as part one of the plurality of approaches that he considers part of the sensory turn. 11 The sensory turn and attributes of it can thus be identified in a wide variety of methods and theoretical frameworks. My hope is that these comparisons contextualise the models for practitioner/researchers in the field of music therapy, the field of music education, the field of participatory/community music-making in social work contexts, and, broadly, those who engage with music and wellbeing. In that these models and typologies fall in step with the sensory turn, they seem especially applicable to the practitioner researchers in these fields, as the promotion of aesthetic ideals is not the sole outcome of their work (or, in many cases, an outcome that is promoted at all). That said, I imagine that the distinctions that I make here could be of use to anyone who is interested in the phenomenon of music listening or is interested in continuing to move conversations about music listening past the aesthetic paradigm. This is an interdisciplinary effort; I include models and typologies that have arisen from the areas of sociology of music, music education, and music theory. I begin with Simon Frith’s model, which draws heavily from Theodor Adorno’s taxonomy of music listeners. Next, I introduce the Integration in Consciousness model (IC model), which I developed in response to hierarchies intrinsic to Adorno’s taxonomy and other modern approaches to music listening. I conclude with Stockfelt’s models, which can be viewed as alternatives to Adorno and Frith, much like the IC model. A comparison of the IC model and Stockfelt’s models raises questions for further research from the vantage point of the sensory turn. In the first Listening Experience Database project publication, the prolific and highly influential sociologist Simon Frith described a music listener typology that he developed from decades of researching live music scenes across Britain. He focused on the disputes of those in the industry related to listening practices in live performance settings in order to determine the distinctions between listener/listening types. 13 Thus, the listener typology described by Frith is one that relates specifically to live music contexts. Additionally, Frith used Theodor Adorno’s listener typology (along with Peter Szendy’s commentary on Adorno), 14 as a point of departure for his listener typology. Adorno, a pioneer in bringing sociological methods to issues in music, developed a typology that was firmly rooted in the aesthetic paradigm. Remnants of the aesthetic paradigm, thus, persist in Frith’s typology (for example, the values-laden language used to identify each type), but there are indeed ways in which Frith’s typology also reflects, at the very least, movement toward the sensory paradigm. Frith first lays out Adorno’s three types: the expert listener, the good listener, and the fallen listener. The expert listener comprehends the logic and structure of musical works as they listen, being able to relate past, present, and future (predictions) in each moment. The good listener is one that comprehends the implications of the musical structures while not being able to fully conceptualise the structures themselves. And, finally, the fallen listener is one that cannot comprehend the structure of the work. It’s important to note here that Adorno’s types appear rigid, such that individuals are classified as one or the other, and can only move ‘up’ the typology as they develop their skills. I don’t believe that Adorno imagined listeners could at one moment be expert listeners and at other moments be fallen listeners. This is an important difference between Adorno’s listener typology and Frith’s listening typology, a fluid categorisation of types of engagements rather than a relatively rigid categorization of people. For Frith, to engage in serious listening, one must take the listening seriously within a specific type of sensory environment, one that is void of certain kinds of distractions. Thus, there is a move away from the object of the work, or even the music, and toward the act of listening, with a focus on limiting sensory input as a way to promote that act. Frith is vague when it comes to what the act of serious listening entails beyond limiting other sensory inputs. Although, he suggests near the end of his chapter, that listening seriously might entail ‘thoughtlessness,’ which, perhaps means that listeners are to focus on the sensations of the sounds as they are heard in each moment, without additional thoughts or ruminations that an individual might normally have. If this is what Frith has in mind, it further demonstrates the sensory turn. In participatory listening and secondary listening, Frith places emphasis on additional sensory modalities that can be involved while listening to music, instead of on filtering input from other sensory modalities out. One example of participatory listening is musicians who, naturally, listen while they play. Frith emphasises ensembles here, such as orchestras, jazz trios, rock bands, and so on. For such musicians, visual cues and communications are important, in addition to the auditory cues. But, it seems that Frith would also include solo performers here as well, as they also listen while playing, which includes the tactile sense or, at the very least, motion. 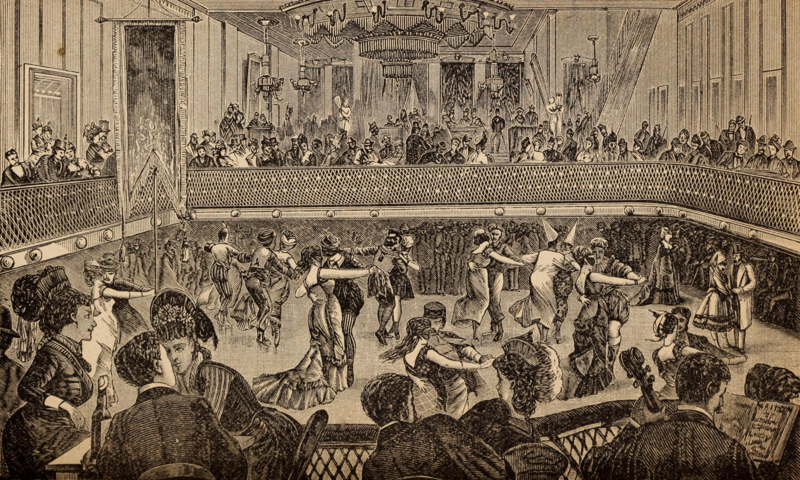 Another example of participatory listening that Frith mentions is when audiences participate with the performers by clapping along, singing, or even dancing. For Frith participatory listening includes even those participations that do not result in sound. For example, he discusses forms of participatory listening that have emerged as a result of social media, where listeners physically absent from live performance provide running commentary about the performance as they watch/listen to a live stream. Increasingly, those present at such events contribute to this kind of commentary. For Frith, secondary listening occurs when the music is subordinate to other sensory inputs. In order to define secondary listening, Frith spends most of the time discussing art forms where sight and sound are integrated by the author/creator/artist, for example, circuses and vaudeville performances or, more contemporarily, shows performed by Beyonce, Pink Floyd, or Madonna. Here, Frith seems to revert back to a focus on the nature of the object (Husserl’s phenomenology) as opposed to the overall sensory environment experienced by the listener. At the same time, I think Frith’s point is that listeners can listen in the secondary way no matter the artist’s intention. For example, one could take in a symphony in a way that prioritises the visual over the auditory; indeed this would be the case for someone who has hearing loss. Even so, it’s not clear that in the shows that Frith describes (Pink Floyd, Madonna, and so on) the sounds are subordinate to the visuals. One could argue that they are fully integrated and dependent on one another – of equal importance. In this case, I’m not sure it makes sense to call what many audience members do at these types of events secondary listening. Further, these kinds of shows typically encourage audience participation in the ways he describes in his section on participatory listening, which makes the distinction Frith is making here even more blurry. The terminologies that Frith uses to describe each of his listening types certainly raise some questions. The term ‘serious’ has a connotation of value as opposed to ‘participatory’ or, perhaps more obviously, ‘secondary’. It seems that Adorno’s hierarchical listener typology (expert, good, fallen) continues to influence the choice of terminology for Frith’s first type of music listening. After all, isn’t it possible to engage in participatory listening ‘seriously’ or even secondary listening ‘seriously’? Why should the filtering out of the other sensory modalities, or not, have an impact on seriousness? Are those attending an opera less serious about music listening than those attending a symphony? I think Frith might respond to this concern by reminding the reader that his typologies are developed in and through the distinctions that are made by those who attend and promote live music performances, and the ‘disputes’ that he has witnessed among those constituents. Put another way, he is reporting on the social phenomena/debates that arise around listening to music in live contexts. I think it’s also important to note that these debates might be far more important for (there is far more at stake for) those on the conservative side of these debates and, thus, that the debates are framed from that conservative perspective. This is a perspective that arises from the aesthetic paradigm, a paradigm that has been used in and outside the academy to distinguish and elevate some people and some musics over others. There is power in the aesthetic paradigm; this is also a sociological phenomenon. Finally, Frith indicates that shows/spectacles (like a Pink Floyd or Beyonce performance where sight and sound are integrated) do not take away from ‘real musical experience’; however, as a whole, the typology communicates otherwise. Generally, Frith’s typology hinges on how sensory inputs are filtered (or not) within the art object, within the environment, and/or in the mind of the listener. In this regard Frith’s typology reflects the sensory turn. The sensory turn is evidenced in a number of ways in which I developed and conducted the study. First, I utilised a phenomenological framework to structure the method of the study; I conducted iterative interviews with ten college students (participants), encouraging them at each interview stage to interpret their own reports of their experiences. As I mentioned earlier, Howes includes modern phenomenology under the umbrella of the sensory turn. Second, I developed the interview topics and questions from McCarthy and Wright’s Deweyan method for investigating user experiences with technology. McCarthy and Wright’s method emphasises the sensorium. The four threads of experiences that comprise the method include the sensual, the emotional, the spatiotemporal, and the compositional, of which the sensual thread is basic to the others. An additional aspect of McCarthy and Wright’s method is the way in which users make sense of their experiences of technology, which I identify as a fifth ‘metasensual’ thread. The model resulted primarily from questions related to the sensual and the metasensual threads. The method that I used to develop the model thus reflects the sensory turn first in the inclusion of the sensorium as one of the experiential threads, and second in that the sensorium is considered basic to the other threads of experience. In what follows, I 1) describe the concept of integration in consciousness as it relates to music listening and other activities, 2) describe the features of the model, and 3) indicate how the model moves past the aesthetic paradigm, comparing it to Frith’s typology. Music and activities are ‘integrated in consciousness’ when listeners maintain a degree of awareness of both the music and the activity during the music listening experience. While it is difficult to know exactly what is going on in the mental lives of the participants, there is evidence, based on the participants’ reports, that when the participants paired music and another activity, they were conscious and aware of both. Consider the following evidence. When the participants walk to class and listen to music on their devices, they report audiating, reciting the lyrics in their heads and bopping their heads to the music. At the same time, they report having some awareness of walking to class. Likewise, when participants use their playlists for the purpose of helping them fall asleep or when getting ready for the day, they report having a consistent awareness of whether the music is working for them. This awareness of whether the music is working for them seems to indicate that the participants maintain some degree of awareness of the music, as well as some degree of awareness of the other activity in which they are engaged. Even when using music to facilitate focus for studying, the participants indicate that they have some awareness of the music. One of the participants, for example, maintained that she is able to ‘follow along’ with the music that she listens to while also being consciously engaged with her schoolwork. ‘Following along’ seems to entail being conscious of the music. The examples listed above are varied with respect to how the music and the activity are integrated. One way to conceptualise this variation is through the degree to which the participants engage with the music, the activity, or both together. Resulting from this conceptualizing, we get balanced and imbalanced integration in consciousness. When participants listen to music on their devices while getting ready for the day, while falling asleep, while working out or while winding down at the end of the day, they engage consciously with the music and the activity in a balanced way. The listeners seem equally aware of the music that they are listening to and the activity that they are engaged with. The participants’ responses to the music are funnelled directly into the activity. For example, music with a quick pulse incites participants to move their bodies. When participants paired quick-pulsed music with the activity of working out, the natural physical response of moving one’s body is funnelled directly into working out. This response to the music enhances the quality of the work out. The figure below models Balanced Integration in Consciousness. The circle labeled Nature of the Experience has been shaded grey in order to represent how the music and the activity are blended together in equal parts. Figure 1: Balanced Integration in Consciousness. When participants listen to music on their devices while walking, riding a bus or studying, they engage consciously with the music and the activity in an imbalanced way. In the case of walking or riding a bus, the degree of conscious engagement with the music is higher than the degree of conscious engagement with the activity. This is evidenced by the nature of the participants’ responses to the music they listen to while walking or riding the bus. When participants listen to music during these types of low-order activities, their responses to music tend to be the most music specific. It is in these instances that participants reported audiation, tapping along to the music and bopping their heads. Naturally, participants also reported listening to the greatest variety of music during these types of activities. The music the participants told me they choose for walking or riding on the bus usually coincided with the type of music they reported was their favorite type of music. The figure below models Imbalanced Integration in Consciousness with an emphasis on the music. The circle is shaded dark grey in order to represent the blending of the activity and the music in unequal parts, with the music having a greater influence on the nature of the experience. Figure 2: Imbalanced Integration in Consciousness, music emphasis. In the case of studying while listening to music, the degree of conscious engagement with the activity is higher than the degree of conscious engagement with the music. When participants listen to music while studying, which tends to be a high-order activity, their responses to the music tend to be the least music specific. In fact, many times the participants did not report any conscious response to the music that they listened to while studying. However, this does not necessarily mean that these participants maintained no conscious connection to the music they listened to while studying. Naturally, participants reported listening to the least variety of musical types while studying. In most cases, participants indicated that instrumental music was their preferred type of music for studying. The figure below models Imbalanced Integration in Consciousness with an emphasis on the activity. The circle is shaded light grey in order to represent the blending of the activity and the music in unequal parts, with the activity having a greater influence on the nature of the experience. Figure 3: Imbalanced Integration in Consciousness, activity emphasis. In addition to being integrated in listeners’ consciousness, music and activity are in ‘causal interaction’ with each other, meaning they can influence each other. The causal interaction between the music and the activity is represented by the horizontal arrow in the model. The influence works in both directions. Some examples of this are as follows: Participants indicated that the music they heard on their devices sometimes caused them to walk faster or slower depending on the type of music. The activity the participants engaged in influenced the music they listened to, including what they chose to listen to and how they listened to it. One participant, Leon, reported that he turned up the volume of his music when he was sitting in a coffee shop and the conversation near him became louder. Figure 4: Integration in Consciousness, causal interaction. The ecological view of perception initially developed by James Gibson and then also Susan Hurley and Eric Clarke (in their area of music) helps to further illuminate how the participants utilised the musical sounds in relation to the activities. 17 Participant responses point to the idea that the sounds of the music afford certain activities better than others. Some music affords falling asleep better than other types of music, and some music affords getting pumped up to play basketball better than other types of music. Of course, there are variations among listeners and listeners can exercise agency in choosing music for getting pumped up for basketball that many would use for falling asleep, but there seems to be some pattern here in how music is used in relationship to activities and the idea of affordances can be used as a tool to make sense of that pattern. Also, using the ecological view of perception, we can theorise the music and the activity as being two distinct spaces: the musical space is a virtual one while the activity space is a physical one. In their experiences, participants chose to either associate the two spaces or dissociate the two spaces. For associating the two spaces, the virtual space can inspire imaginative responses. Listeners, then, map that imaginative response onto the physical space. Or, listeners map the motion implied by the music, which exists within the virtual space of the music, onto the physical space, their bodies becoming the physical conduits for the virtual motion of the music. Finally, listeners link the aesthetic aspects of the virtual space to the aesthetic aspects of the physical space, mapping the aesthetic qualities of the virtual space onto the physical space. Here is an example of dissociation: when it is cold outside, participants might turn up their music very loud on their headphones, drowning out the physical space with the virtual space. The virtual space of music can conjure up other virtual spaces as well. Participants report that music can remind them of past listening experiences that are very often associated with people and relationships. The richness of the listening experience, thus, comes into view. When listening to music, participants navigate the real, physical space that surrounds them, the virtual space of music, and the virtual space of memories. The time element is represented in the instantiation of the IC model found below, where all past listening experiences can have an influence on a present listening experience. Figure 5: Integration in Consciousness, through time. The IC model represents a distinct departure from the aesthetic paradigm. While the aesthetic paradigm dictates a hierarchical relationship between listeners and ways of listening, based on theoretical ideals, the IC model implies no such hierarchical relationships. Rather, the model indicates a range of ways of listening along a horizontal spectrum that moves from imbalanced (emphasis on the music), to balanced (emphasis on music and activity), to imbalanced (emphasis on the activity), thereby disrupting the foreground/background distinction. Furthermore, this horizontal spectrum is not rigid, as is the case with Adorno’s typology. Instead, individuals move along the spectrum regularly depending on their emotional, physical, and psychological needs, among others (these needs are not directly specified on the model, but are addressed in the larger study). There is some conceptual overlap between Frith’s typology and the IC model. For example, serious listening in Frith’s typology could be mapped onto the imbalanced instantiation of the model (emphasis on the music). For Frith, those who engage in serious listening attend concerts, but prefer, at least during the performance, to filter out those sensory inputs related to the activity of being at the concert (other than the performed sounds/music, of course). Furthermore, some instances of what Frith calls participatory listening could map onto the balanced instantiation of the model, for example, dancing. And, some instances of what Frith calls secondary listening could be mapped onto the imbalanced instantiation of the model, emphasis activity. However, much of what Frith calls secondary listening at live music events, I might well place toward the center of the spectrum. Returning to how the IC model relates to the sensory turn, the ecological view of perception and its use within the IC model reflect the sensory turn. The ecological view was developed in response to the computational view of perception which privileges the sense of sight as well as the construction of an internal representations of the external world. The ecological view of perception, on the other hand, emphasises sensory input and feedback from all the senses; rather than constructing internal representations, organisms continually act and respond within environments based on continuous and direct sensory information. The ecological view of perception emerged from a quite straightforward question: ‘why would an organism develop a complicated internal representation of the external world, when it can act and engage with the external world directly?’ On the ecological view, the sensorium is the bridge between the internal and the external world, rather than an internal representation, thus reflecting the sensory turn. Like the IC model, Stockfelt’s Possible Modes of Listening (PML) model and accompanying Foreground, Background, and Simultaneity (FBS) model, can be viewed as alternatives to Adorno and Frith’s taxonomies. The PML model was first published in 1988 as part of his dissertation, but the model, as well as Stockfelt’s concept of ‘adequate modes of listening,’ have been revisited in print several times since. They have been included in anthologies that developed and defined the area of inquiry now known as auditory culture and/or sound studies. 18 As I mentioned earlier, Garcia Quiñones makes a direct link between the sensory turn and the development of auditory culture/sound studies. Also, Howes, a major contributor to the development of the idea of the sensory turn, has contributed to anthologies related to auditory culture/sound studies. In what follows, I describe the PML model and compare it to Frith’s typology and the IC model. Figure 6: Possible Modes of Listening. While the PML model indicates factors for adequate listening via the Venn diagram, it does not provide a detailed account of how these factors relate to one another in practice. This is likely due to methodological constraints. The PML model resulted from an analysis of Mozart’s Symphony no. 40 and its reception. The IC model, however, provides some of this fine-grained detail; ‘activity’ in the IC model is by and large akin to ‘situation’ in the PML model. Thus, the relationship of the music and the situation in the PML model are described by the relationship of the music and the activity within the IC model. Here are a few points of contrast related to the PML and IC models: First, the agency and idiosyncratic features of the listener as represented in Stockfelt’s ‘repertoire’ and ‘strategy’ factors are taken as givens in the IC model 21 Second, the PML model does not directly take into account factors relating to ‘time’ (although one might argue that the ‘learned repertoire of modes’ depends on an element of time) or how each of the PML factors might have an influence on each other, as does the IC model. Finally, there remains in the PML model an emphasis on artists’ intentions and communications with audiences/listeners; the IC model does not take this into account, instead focusing on ways in which listeners create their own meanings with the music, which sometimes, but not always, fall outside artists’ intentions. In his dissertation, Stockfelt included a companion model to the PML model called Foreground, Background and Simultaneity (FBS) model. 22 It has received considerably less attention in the literature, but it covers some important territory, having to do with the relationship between listener modes, the nature of the musical object and artists’ intentions. In the model, Stockfelt makes a distinction between ‘composed-in’ music, where the composer intends for the music to be integrated with other art forms, for example, in opera, music videos, or film music, and ‘simultaneous’ music, in which the listener chooses to pair musics with certain activities (as in the IC model). The model implies that both ‘composed-in’ music and ‘simultaneous’ music can be in the foreground or in the background; foreground and background seem to be examples of modes of listening in the PML model. The emphasis in the companion model on the nature of the music as an object, the artist’s intentions, as well as the usage of the terms ‘foreground’ and ‘background’ are remnants of the aesthetic paradigm. Even so, this model raises an important question for those working on music listening during and after the sensory turn: how do the musical sounds themselves influence the nature of listeners’ experiences? The IC model and its accompanying explanation appeal to the concept of affordances from the ecological view of perception to answer this question. For example, some musics are said to afford falling asleep better than other musics, and some musics are said to afford ‘getting pumped up for playing basketball’ better than others. But this explanation seems far from adequate; there is more to be said about how and why certain musics afford certain things, and just how universal such affordances tend to be. These areas of inquiry necessitate scholars to reflect back on the musical sounds themselves as well as artists’ intentions, from the new vantage point of the sensory turn. Frith’s typology, the IC model and the PML model reflect the sensory turn in their primary focus on the listener, as opposed to the composer/artist, in order to describe the music listening today. To varying degrees, each typology/model undermines the value-laden aesthetic paradigm, which deems concert-listening superior to other forms of listening. The IC model provides the most comprehensive shift away from the aesthetic paradigm. Falling in step with the sensory turn, the IC model proposes an alternative to the reductive ‘foreground’/’background’ distinction, which does not capture the plethora of roles music can play in everyday life in relationship to other aspects of daily life and does not leave room for the unconscious ways in which music can influence listeners. The IC model provides the opportunity to explore such things. As such, the IC model proposes a less prescriptive framework for communicating about how music is meaningful to listeners in their everyday lives when compared to the aesthetic paradigm. Stockfelt’s models and the IC model can be viewed as complementary to one another, with Stockfelt’s models directly addressing artist intentions and the IC model directly addressing the relationship between ‘activity’ and ‘music’ in real time. Stockfelt’s emphasis on artist intentions in the FBS model raises questions for those working from the ecological perspective related to how the sounds of music afford certain things and not others. This is an important area for further research. Clarke, Eric F. Ways of Listening: An Ecological Approach to the Perception of Musical Meaning. New York: Oxford University Press, 2005. Frith, Simon. ‘More than meets the ear: on listening as a social practice’ in Helen Barlow and David Rowland (eds), Listening to music: people, practices and experiences. Milton Keynes, UK: The Open University, 2017. Howes, David. Senses and Sensation: Critical and Primary Sources. New York: Bloomsbury, 2018. Rinsema, Rebecca. Listening in Action: Teaching Music in the Digital Age. New York: Routledge, 2017. Stockfelt, Ola. ‘Adequate modes of listening’ in Christoph Cox and Daniel Warner (eds), Audio Culture: Readings in Modern Music. New York: Continuum, 2004.